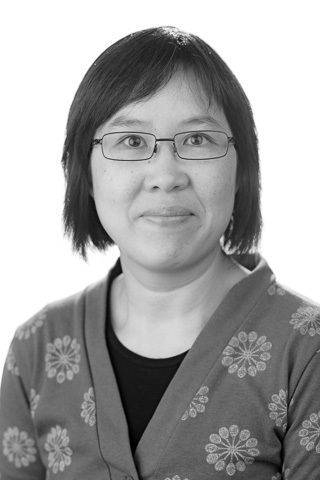 Christina Ho is a Senior Lecturer & Discipline Coordinator, Social and Political Sciences, within the Communications program, based in the Faculty of Arts and Social Sciences. Christina researches migration, cultural diversity, citizenship and identity, and has focused particularly on Chinese migration, Muslim diasporas and migrant youth and belonging. She is currently working on projects investigating ethnicity and education and community building in urban areas. Jakubowicz, A & Ho, C 2014, 'For those who've come across the seas...' Australian Multicultural Theory, Policy and Practice, Anthem Press. Ho, C. 2008, Migration and Gender Identity: Chinese Women's Experiences of Work, Family and Identity in Contemporary Australia, VDM Verlag Dr. Muller, Saarbruecken. Throughout the Western world, governments increasingly view migration through the lens of economic efficiency, arguing that skilled professionals are the \'best\' or most successful migrants. This book critically analyses this assumption. It focuses on one group of skilled migrants in Australia, Chinese women, showing that they do not always experience the prevailing \'success story\'. After migrating, Chinese women\'s employment falls while their domestic workloads rise. This often changes their sense of gender identity, as they shift from \'career women\' to traditional \'female\' roles as wives and mothers. Thus this book shows that migration is highly gendered. Of women in the workforce, those from China fare much worse than those from Hong Kong, despite similar levels of qualifications, showing that migrants\' birthplace can dramatically affect how their qualifications are valued. Ultimately, this book argues that governments\' economistic approach to migration fails to understand the complexities of migrants\' experiences as social beings, whose cultural and gender identities can make all the difference to their settlement in a new country. © 2017 Informa UK Limited, trading as Taylor & Francis Group 'Asian whiz kids' perfect test scores.' 'Selective schools and tiger parents.' These types of headlines highlight the increased visibility of academically successful students from Asian migrant backgrounds, in Australia and other Western countries. They also point to anxiety about the perceived aggressive 'tiger' parenting often associated with Asian academic success. This paper focuses on the forms of everyday multiculturalism found in and around high-performing selective schools and classes in Sydney, Australia, almost all of which are dominated by Asian-Australian students. Drawing on interviews with parents and students from Anglo- and Asian-Australian backgrounds, it documents the different positionalities adopted by participants within these culturally diverse settings, including anger, aspiration and cosmopolitanism. This potentially volatile combination of approaches to diversity reveals some of the social consequences of neoliberal migration and education policies. Contemporary urban life has been shaped by two momentous shifts over the twentieth century: these shifts are increasing global mobility and increasing housing density, and both have required changes to personal approaches to dwelling. They have been pronounced in Australia, which has moved from an imperialcolonial century to an Asian century in just over 100 years. Coupled with compact city policies in some regions, increased international migration has resulted in urban populations becoming more ethnoculturally diverse, and encouraged urban residents to live in closer proximity to each other. Such trends are evident in the expansion of apartment living in cities. In the academic literature, each of these global shifts has been addressed separately, with much less attention being given to the two together. This oversight is especially the case in places where these changes are experienced most profoundly—private multiowned residential buildings that many and growing numbers of urban residents call home. The oversight is concerning because successful apartment living requires sustained participation and cooperation—how we dwell with each other matters. Without such forms of engagement and courtesies, apartment communities cannot run effectively or cohesively in terms of associational participation in management or of the everyday encounters of social life. Arguably, because global mobility is now so pronounced, engagement and civility require that people are respectfully observant of ethnodiversity. Yet our review of the existing literature on multicultural encounters and participation in multiowned private apartment buildings suggests the need for more research on the intersections among global mobility, housing density, and apartment living. This paper begins to bridge this gap. © 2017 Informa UK Limited, trading as Taylor & Francis Group. This paper documents the self-positioning of a segment of middle class parents, whom we call 'community-minded', as they distinguish themselves from pedagogies and parenting practices for education often associated with 'tiger parenting' and 'Asian' practices in Australia. Increased public interest has scrutinised the growth of high achieving Asian-Australian students and commonly depicts 'Asian success' as being about ethnicity and/or race. As academics argue, such essentialism validates existing capitals among middle-class parents and feeds into a politics of racial hostility. Building on this literature, we focus on this site of tension as one of a struggle between 'old' and 'new' middle classes. Drawing on a small study in Sydney NSW, we deal with a fraction of the middle classes for whom particular educational strategies are disavowed as part of their self-positioning as moral, 'community-minded' citizens. This is analysed as a response to broader changes across education, the economy and migration trajectories which have emerged alongside what Watkins and Noble call the 'ethnicisation' of academic achievement. These tensions provide insight into how 'old' and 'new' middle classes are attempting to co-exist in Australian schools, as global political and economic transformations are negotiated within the micropolitics of parenting and cultural constructions of childhood. This article reports on interview-based research into the everyday consequences of gentrification as seen through the prism of local public primary schools in inner Sydney, Australia. We explore the feelings involved in negotiating relations across ethnicised and classed differences within four school communities. Common though contradictory themes across the interviews include: the positive worth accorded to contact with ethnicised difference among white parents; the avoidance of interpersonal contact across ethnicised and classed differences; and the positive worth accorded to classed sameness. Our research finds that the feelings that attend to these themes—discomfort and comfort, desire and disdain—play a significant role in shaping everyday school communities and relationships between parents. We examine the ways in which white parents' desires for social contact with ethnicised others are frequently disappointed and note the disdain and discomfort involved in negotiating contact with classed others. We conclude with a case study involving a complex mix of the themes and feelings listed above: parental engagement with the schools' Parents and Citizens Associations (P&Cs). We argue that P&Cs constitute social spaces dominated by parents with a class-based disposition towards entitlement and authority, from which ethnicised and classed others frequently feel excluded. Gentrification is transforming the class and ethnic profile of urban communities across the world, and changing how people deal with social and cultural difference. This paper looks at some of the social consequences of gentrification in Sydney, Australia, focusing on local schools. It argues that in this urban Australian context, the influx of middle-class Anglo-Australians into traditionally working-class, migrant-dominated areas is significantly changing how people relate to each other within local schools, often fragmenting and dividing school communities. These shifts are intensified by the public policy of school choice, which has enabled some parents to bypass their local school for a more 'desirable' one. This paper presents a close local study of two schools within one gentrifying Sydney suburb, examining how the schools have become more polarised. In particular, we examine how this demographic polarisation has given rise to two distinct modes of 'doing diversity', namely, 'everyday' and 'cosmo-multiculturalisms'. While the former is about daily, normalised encounters across difference, the latter is a form of multiculturalism based on strategic and learned 'appreciation' and consumption of difference, characteristic of gentrified communities. The Cosmopolitan Civil Societies Journal has been an important forum for discussing issues around cultural diversity. Articles on cultural diversity have been present in virtually every issue of the journal. These have ranged from conceptual pieces on cosmopolitanism, identity, dialogue, prejudice, pluralism, cultural and social capital and social inclusion, to articles embedded in empirical research on ethnic precincts and segregation in cities, experiences of religious minorities, immigrant entrepreneurs, and more. Over its five year history, the journal has also had themed editions on cultural diversity issues, including one on embracing diversity in sport, and another on the Chinese in Australian politics. The scope of this work has been wide, and authors have brought a range of disciplinary and methodological approaches to the journal. The purpose of this paper is to draw together some of the work that has been published around cultural diversity, particularly relating to everyday experiences of cosmopolitanism and racism. Focusing on everyday social relations has been an important part of recent scholarship on cultural diversity in Australia (e.g. Wise and Velayutham 2009). In contrast to research framed around multicultural policy or mediated representations of diversity, the scholarship of the 'everyday' aims to explore people's lived experiences and daily interactions with others. This article examines the cultural renaissance of Western Sydney, long considered a crass, working-class cultural wasteland. In the last two decades, the region has experienced a proliferation of new artistic initiatives, and advocates now hail Sydneys West as the true face of multicultural Australias cultural vitality. This article also documents how community arts and development programs have contributed to these shifting perceptions, analysing these contributions in terms of social impact evaluation. It argues that evaluating social impact expands the parameters of conventional evaluation techniques, which typically focus on program-level outputs and outcomes. It presents a case study of a Western Sydney community organisation, Information and Cultural Exchange (ICE), which, for 20 years, has delivered community cultural development and professional development programs for Western Sydney artists. Engaging with historically disadvantaged communities, the organisation has specialised in art forms that have resonated with the region, including hip hop, digital storytelling, and filmmaking, and in the process has played a key role in re-imagining Western Sydney as a cutting edge, multicultural hub of creative vibrancy. One of the key questions of contemporary society is how to foster and develop social interactions which will lead to a strong and inclusive society, one which accounts for the diversity inherent in local communities, whether that diversity be based on differences in interest or diversity in language and culture. The purpose of this paper is to examine three concepts which are used in the exploration of social interactions to suggest ways in which the interplay of these concepts might provide a richer understanding of social interactions. The three concepts are everyday cosmopolitanism, complexity theory and social capital. Each provides a partial approach to explanations of social interactions. Through focussing on social networking as a significant example of social interactions, we will demonstrate how the concepts can be linked and this linking brings potential for a clearer understanding of the processes through which this inclusive society may develop. This paper critically engages with the concept of `everyday multiculturalism, which advocates argue is a more productive way of understanding the reality of multiculturalism in contemporary Australia, as opposed to moral panics about `home-grown terrorism, ghettoes and ethnic crime. Everyday multiculturalism, it is argued, can be found in `micropublics of cross-cultural encounter, in many of the social settings of everyday life, including schools, workplaces and neighbourhoods. This paper focuses on schools in particular, to show that everyday multiculturalism is highly uneven in its distribution, and that significant cultural polarisation is occurring within Sydneys secondary schools. However, it reiterates the importance of schools as potential micropublics, as they are ideal sites for fostering a respect for the presence of Others, which can coexist with tension and conflict. As Hester Eisenstein shows in her essay in this issue, the sudden concern for women has come from neo-conservatives like George W. Bush, who are not known for their support for feminism. Yet feminism is `essential to the war on terror, Eisenstein writes, enabling Islamic societies to be condemned as `uniquely oppressive to women (Eisenstein this issue). I explore this appropriation of feminism as Orientalist feminism, a feminism that is ultimately about constructing a binary opposition between a civilised West and an uncivilised East. My main goal is to explore how feminists can respond to this discourse. Ho, C. 2008, 'Diversifying Feminism: Migrant Women's Activism in Australia', Signs: Journal of Women in Culture and Society, vol. 33, no. 4, pp. 777-783. Headscarves in schools. Sexual violence in Indigenous communities. Muslim women at public swimming pools. Polygamy. Sharia law. Outspoken Imams on sexual assault. Integration and respect for women. It seems that around the world in the media and public debate, womens issues are at the top of the agenda. Yet all too often, support for womens rights is proclaimed loudest by conservative politicians intent on policing communities and demonising Muslims during the war on terror. This edition of the Transforming Cultures eJournal offers critical reflections on the contemporary politics of gender, race and religion, and provides a platform for those perspectives which are too often sidelined in the debate, perspectives that seek to go beyond simplistic debates such as hijab: to ban or not to ban? or Muslim women: oppressed or liberated? In recent years, Australian nationalism has been increasingly framed against a dangerous Muslim other. This article offers a gendered analysis of this nationalism, arguing that a discourse of protecting women's rights has enabled Islam to be portrayed as inherently misogynistic and therefore a threat to Australia's egalitarian culture. Ho, C. 2007, 'How the Chinese became Australians', Australian Review of Public Affairs, vol. November. Ho, C. 2007, 'How the Chinese became Australians', Australian Review of Public Affairs, vol. 8, no. 1, pp. 1-1. Around the western world, migration programs are increasingly targeting skilled professionals as governments view migration through the lens of economic efficiency. The majority of Australias migration intake now comprises skilled migrants, chosen for their human capital attributes. However, once skilled migrants arrive in Australia, they confront many barriers to re-establishing their careers in a new labour market. This paper uses qualitative and quantitative data to explore the consequences of this career disruption for professional women from Hong Kong, who often find themselves reorienting their identities and values away from the world of work and towards non-market-based spheres of life, such as family, leisure and self-development. This evolution challenges the Australian governments economistic definitions of social citizenship, where migrants are seen almost exclusively as economic beings. Despite the governments objectives, for many new arrivals, migration to Australia is an opportunity to explore other, non-economic, aspects of life. Ho, C. 2006, 'Gang Rapes and the "cultural timebomb"', Australian Review of Public Affairs, vol. September. Ho, C. 2006, 'Cronulla, Conflict and Culture', Wo Magazine, vol. 4, no. Dec/Jan. Ho, C. 2006, 'Girls like us, boys like them', Australian Financial Review, vol. 29 Septemb. Ho, C. 2006, 'China's brain drain is our brain waste', The Sydney Morning Herald, vol. 21 Septemb. Ho, C & Schofield, T 2015, 'Ethnicity and Health' in A Sociological Approach to Health Determinants, Cambridge University Press, Port Melbourne, pp. 83-98. Ho, C. 2009, 'The Hidden Politics of Harmony Celebrations: Where has all the racism gone?' in Giugni, M. & Mundine, K. (eds), Talkin' Up and Speakin' Out: Indigenous and multicultural voices in early childhood, Pademelon Press, Sydney. Ho, C 2008, 'Chinese Nurses in Australia: Migration, Work and Identity' in Connell John (ed), The International Migration of Health Workers, Routledge, New York, pp. 147-162. Ho, C 2008, 'Introduction' in Dreher, T & Ho, C (eds), Beyond the Hijab Debates: New Conversations on Gender, Race and Religion, Cambridge Scholars Press, UK. This paper grew out of something I kept noticing in my own life. Over the last couple of years, I have been getting more and more invitations to inter-faith activities, usually involving Christians, Muslims and Jews. At first I wondered why I was getting invitations to religious events, seeing I am not religious and have never been a member of any religious organisation (except for being an escapee of the Catholic school system). Gradually it dawned on me that these events were the same kinds of things that used to be called anti-racism workshops or general discussions about some aspect of cultural diversity or race relations. This got me thinking about the role of religion in current activities around multiculturalism in Australia. Ho, C. 2007, 'Father still knows best: The new paternalism and Australian multicultural policy', Throwing the baby out with the bathwater: Curriculum as activism, Throwing the baby out with the bathwater: Curriculum as activism, Social Justice in Early Childhood Group, Sydney. Ho, C. 2007, 'Building community capacity in a hostile climate: Working with culturally diverse communities', Local Community Services Association Conference, Sydney. Ho, C. 2007, 'Hijacking feminism: The politics of women's rights in contemporary Australia', Bankstown Town Hall. Ho, C 2006, 'Muslim Women's new defenders: Womens rights, nationalism and Islamophobia in contemporary Australia', Borderpolitics of Whiteness, Macquarie University, Sydney. Ho, C. & Dreher, T.I. 2006, 'Where has all the anti-racism gone? ', New Racisms, New Anti-racisms, Research Institute for Humanitie and Social Sciences. Ho, C. 2006, 'A Christian, a Muslim and a Jew walk into a room ...: Inter-faith dialogue and the desecularisation of Australian multiculturalism', Everyday Multiculturalism, Centre for Research on Social Inclusion, Macquarie University. Ho, C. 2005, 'Women crossing borders: Chinese women, migration and gender identity in Australia', Eighth Women in Asia Conference, UTS, Sydney, Australia. Ho, C. 2005, 'Violence as social exclusion: CALD women in multicultural Australia', Refocusing Womenâs Experience of Violence conference, Bankstown Town Hall. Ho, C. 2004, 'Doing Feminist Economics', Third Society of Heterdox Economists, University of NSW. Ho, C. 2003, 'Success or Sacrifice? Chinese women's employment experience in Australia', Society of Heterodox Economists, University of NSW. Ho, C. 2003, 'Skilled Migration: Behind the Success Story. A critical look at current Australian literature on migrant employmnet experiences. ', Creating Spaces: Interdisciplinary Writings in the Social Sciences, Australian National University. Ho, C. 2002, 'Migration Experiences of Chinese Women in Australia', Australian Migration & Ethnic Relations in a Period of Changing International Relations, University of Sydney. Ho, C. 2001, 'Migration as Feminism? Experiences of Settlement and Employment of Chinese Migrant Women in Australia', Australian Sociological Association, University of Sydney. Ho, C. 2001, 'Immigration, Multiculturalism and Australian National Identity', Australian Malaysia and Singapore Association, Sydney. Ho, C. Queensland Department of Industrial Relations 2003, Clothing Industry and Outworker Profile, Brisbane. Ho, C. 2002, A statistical, ethic and geographical profile of clothing outworkers and the clothing industry in New South Wales. Ho, C 2016, 'Hothoused and hyper-racialised: the ethnic imbalance in our selective schools', The Guardian. Ho, C & Vincent, E 2016, 'Gentrification is dividing Australian schools', The Conversation. Ho, C & butler, R 2016, 'Why do parents take such different approaches to their kids' education? ', The Conversation. Ho, C 2016, 'All they see is your race, because that is what's written on your body', The Guardian.